Over the past few seasons, we’ve had a couple posts regarding craft beer and professional sports stadiums, primarily ballparks. 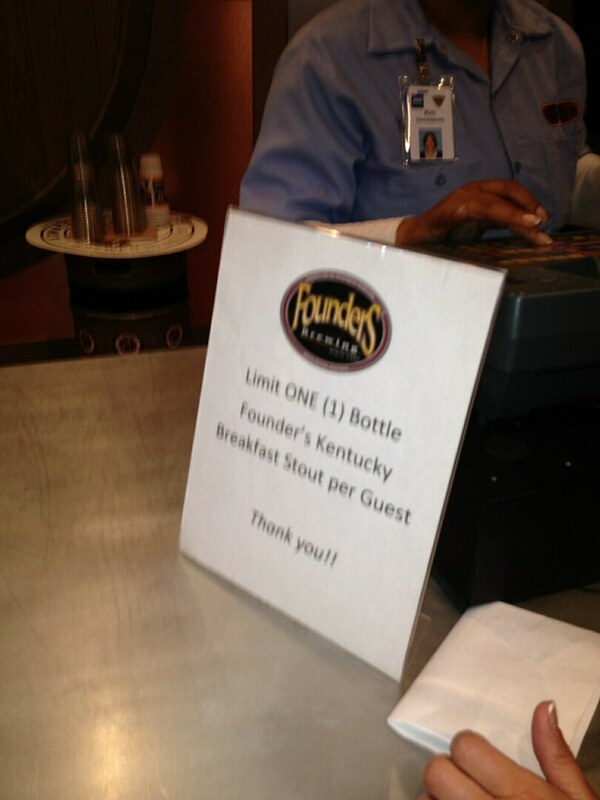 Well, if there is a competition as to the “best beer in a ballpark,” the game is now over. The Detroit Tigers, who just happen to be the preferred nine of the BAF, have just ended any debate by pouring KBS (!!!) this past Sunday at Comerica Park. Yes…THAT KBS. Obviously, supplies were limited – they had one full cooler stocked – but the price was a very reasonable $8 (which is actually at or below some bar prices if you can find it) and it was at a actual MLB ballpark. And we’re talking about the “old fashioned” version of the word, not some new fangled smart phone mobility. Why not actually VISIT breweries around the state, complete with tour guides, goodies and safe rides?? Check out our friends at Motor City Brew Tours and their extension, Michigan Brew Tours. They have bus, biking and walking tours around the state, and in the two major brewing centers of Detroit Metro and Grand Rapids. They also operate busses to all the Guild beer festivals, which is worth checking out on its own. We tallied up all the West Michigan breweries a few months ago. Alabama actually has a fight on their hands to finally legalize homebrewing, a safe, legitimate activity that most Americans have enjoyed freely since 1979. Memo to Joe: It’s already legal to buy beer, wine & spirits throughtout the great state of Alabama! In fact, that’d be radically easier and (at least initially) much cheaper than buying homebrew equipment, only to wait weeks to bottle, then secondarily ferment, so you can get hammered on your own beer. A quick review of consumption and sales statistics would also back the arguement that homebrewers and craft drinkers consume LESS than drinkers of typical commerial beers, but don’t let facts and logic interfere with your “faith” that all homebrewers are future alcoholics. Speaking of faith, is Joe aware that Jesus and all the Disciples drank wine? Or that the organized church was responsible for maintaining the brewing arts throughout the Middle Ages and into modern Europe? Or that the Pilgrims landed in Plymouth because they were out of beer? Bottom line is this: whether you care about homebrewing or some other issue, this is about basic rights to live free and enjoy your own legal activities in your own home, whether or not your neighbor would do the same. The next Prohibition may be something YOU enjoy, like french fries or an extra large Coke. For more on the fight, click HERE for the actual bills and to lend support. 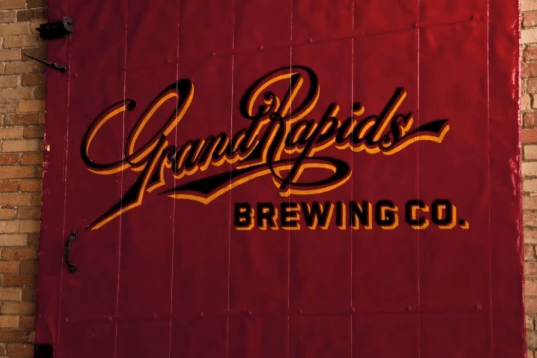 Among the many newly christened purveyors of self-produced liquid gold to join the ranks of Beer City, USA this past year is the third version of Grand Rapids Brewing Company (GRBC), which opened in early December, just a little over a month ago. 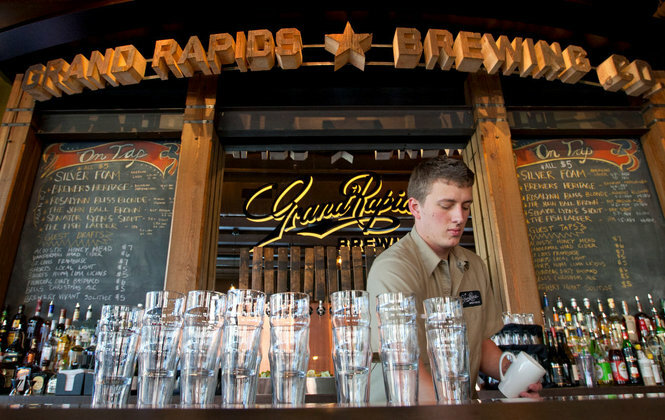 The first version of GRBC was created by a merging of six German brewers in Grand Rapids in the late 19th Century – much of the pre-Prohibition history of the city was covered in our Braumeister series last year – and was located in downtown Grand Rapids on the corner of what is now Michigan, between Ottawa and Ionia (now the State of Michigan building). 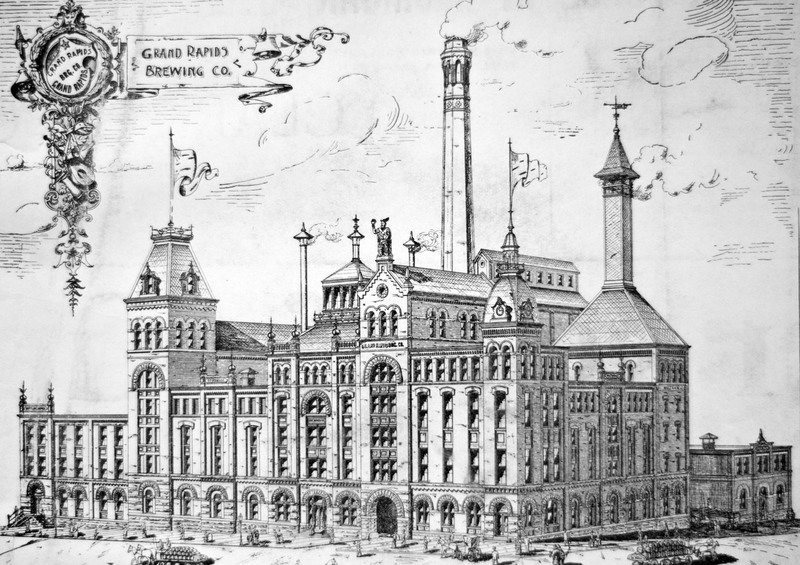 The brewers combined forces in 1893 and created a flagship lager, Silver Foam, to combat the rise of Anheuser Busch, which was rapidly expanding their sales territories beyond St. Louis and into the local “territory” through the use of local packaging facilities, refrigerated rail cars and pasteurization. 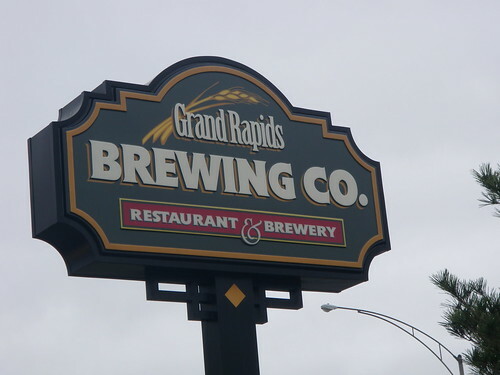 The Grand Rapids version met it’s demise during Prohibition (after attempting to survive making soft-drinks), although a second generation of GRBC, in partnership with factions of the former Furniture City Brewery, started in Muskegon at the location of a former brewery about there about 1935 and shipped product back to Grand Rapids, but it only lasted a couple years and was gone again by the end of the decade. The third version of GRBC was formed by the Schelde Restaurant group in 1993, during the first “craft beer” boom. It was the second brewpub license issued in the State of Michigan (after Traffic Jam & Snug in Detroit) and the groups lawyers assisted with the decade long legislative effort to create brewpub & microbrewer licenses, along with Larry Bell of Bells Brewery (formerly Kalamazoo Brewing Company) and the folks at TJ’s. A restaurant first, they created an ale version of Silver Foam and survived on a busy 28th Street commercial district, among chain restaurants and shopping malls until about 2009, when their latest owners finally closed the doors and the building was razed by their shopping mall landlords. Rights to the name and brands were purchased by Mark Sellers and his BarFly Ventures, who finally moved GRBC back downtown to the corner of Fulton and Ionia, mere blocks from the original location. To say the new location is stunning is to sell short the beautiful construction job and ode to history that has been paid by the newest version. It is simply gorgeous….and tremendously popular so far. Most of their beers are regularly sold out and they’re getting by with many guest brews to supplement the meager supplies they’ve managed to keep on hand. They’ve already added new fermenters in an effort to keep up with demand. 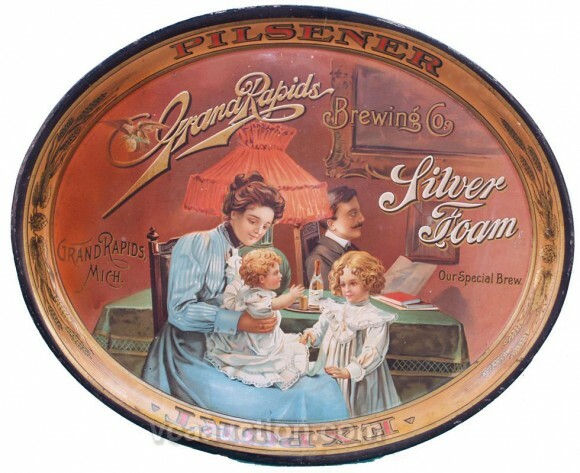 Most of the new beers – when they’re in stock – are named after local historical figures, celebrities and, of course, a new version of Silver Foam, once again being produced as an adjunct lager. We’ll wait on actual reviews of their beers until things are truly in order, but we’ve tried all of them that have been available over the past month, which has been about a dozen different pours, ranging from the Silver Foam, through a couple weissbiers, Stouts, several IPAs and a Belgian or two. The food has been good and the service has been outstanding in each visit. If you’re in the neighborhood, you’ll want to be sure to include the new location in your beer tour, and hope they have some of their beer to share with you.